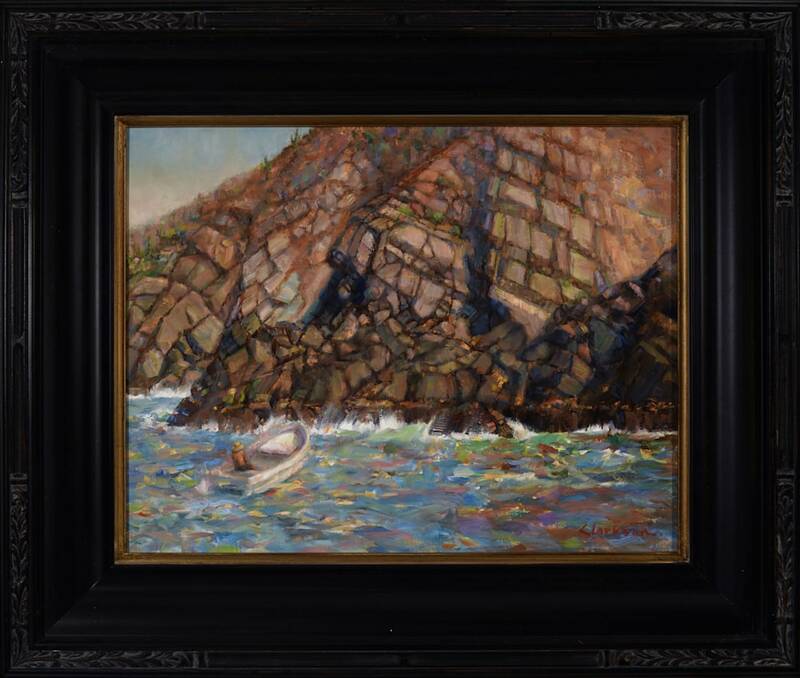 Oil on Canvas Panel, Framed Size is 25" x 22"
A fisherman nears the jagged cliffs of Majahua that rise from the restless Pacific Ocean. 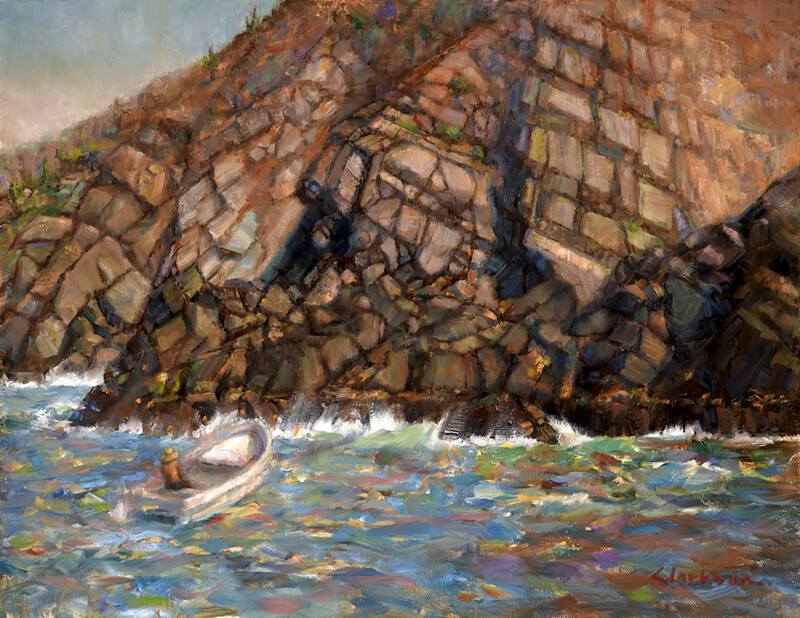 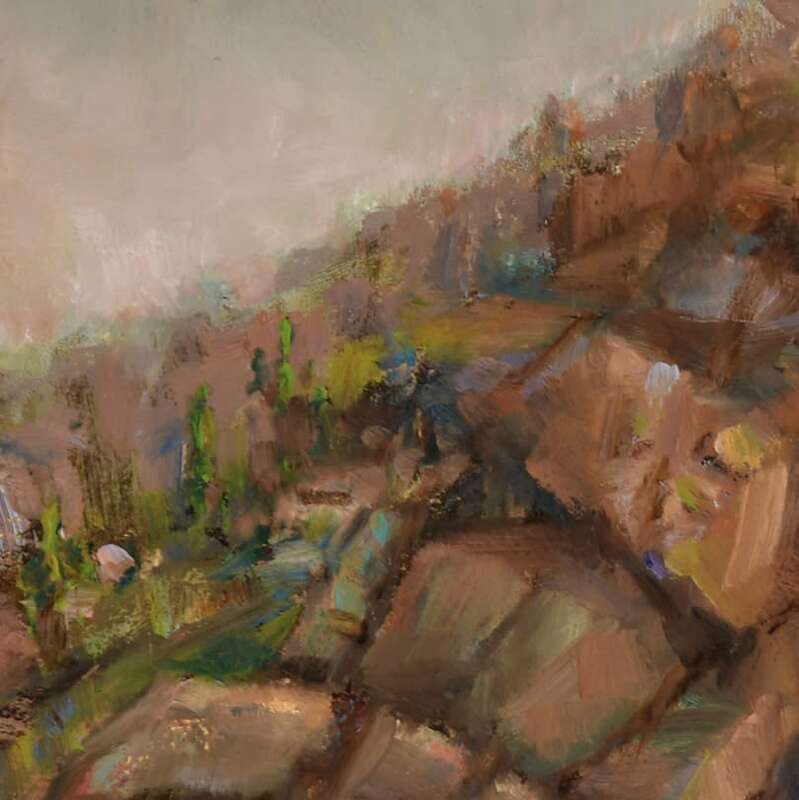 Part of an ongoing series of landscapes of the west coast of Mexico, this painting of blues, greens, browns, white and gold depicts cliffs that shelter the Bay of Zihuatanejo. 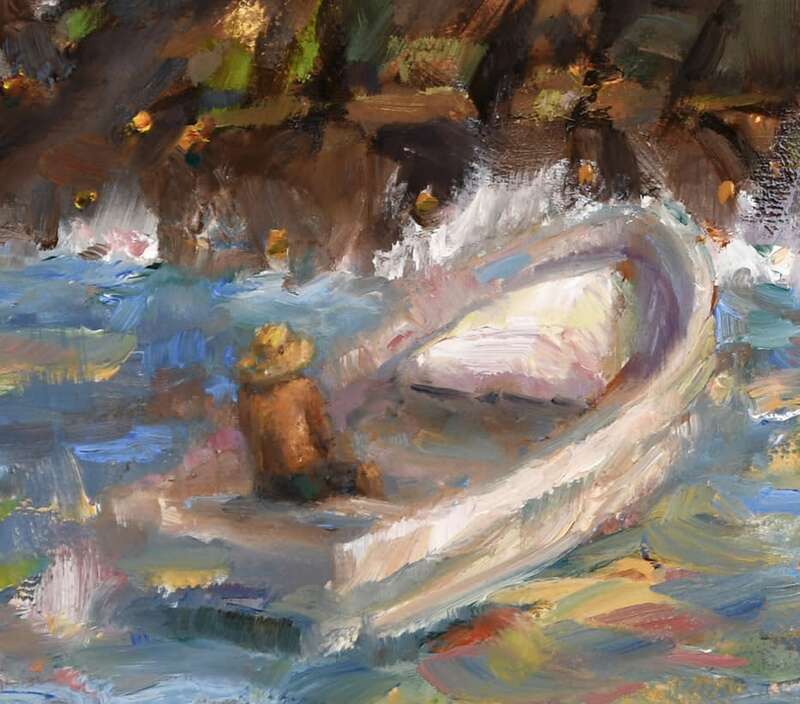 A fisherman nears the jagged cliffs of Majahua that rise from the restless Pacific Ocean. 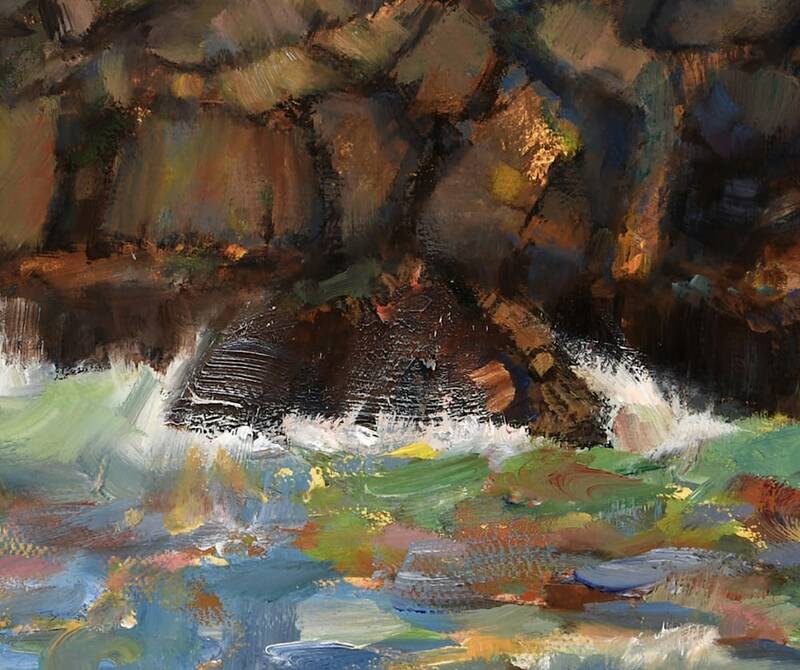 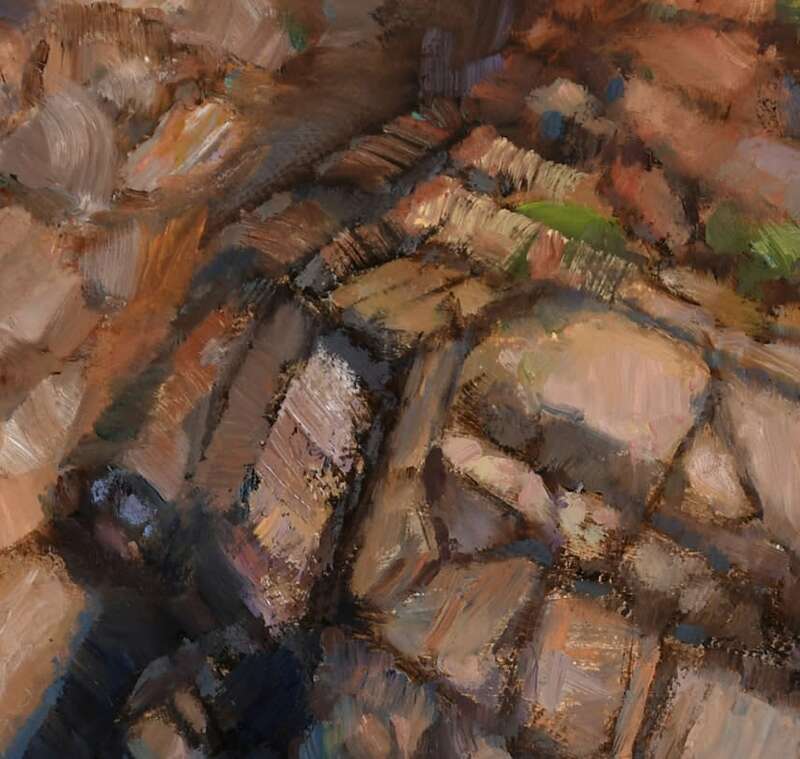 This seascape captures the golden warmth of the sun on the terracotta brown cliffs and the rolling blue ccean.